“I went to every rock concert there was. I am a metal head,” Judy Roberts Lancaster told me when I sat down to chat with this amazing, strong woman. After a 24-year marriage ended, she found her soulmate with Steve when they met at a social gathering and he asked her to dance. She hadn’t really dated a lot after the divorce from her first husband because she discovered the only thing other dates wanted to talk about were their past lives, their kids, and the horrible person that was making them pay child support. Judy and Steve talked about everything — and they went to rock concerts. She said she went to some country concerts, but the people at those were too wild. Judy was born and raised in West Nashville and had moved to Kentucky to follow jobs. She lived in Owensboro which she said was a lot like La Vergne – you had to leave town to eat at a good sit-down restaurant. She is thankful to this day for Owensboro’s Moonlite Barbecue. She and Steve returned to Tennessee, though. They sold their house in Kentucky and had one year to buy another one or Uncle Sam would tax their capital gains. Judy said that’s how they ended up in La Vergne – just across the Davidson County line. Judy got a job working in office administration for a company called Electrostatic / Nashville Upholstery and stayed for eight years. Because she had her family to support, she remained there even after the owner died and the work environment deteriorated. “I had a family to support,” she said simply. Judy was raising three sons and one daughter (she said she made her husband Steve a father, stepfather, and grandfather all in one fell swoop when they married). After she was finally able to quit the job one glorious day, she worked at another business as an accountant until Steve was able to open his own business, Lancaster Gutters and Exteriors. She said her husband operated the business for 16 years until the big guys came in with box trucks and a local number painted on their side. The bigger companies then proceeded to undercut local businesses so low that Judy and Steve had to sell. Steve has another job now, but still does work for former customers who remember him and his good work. He does gutters, fixes decks, puts up exteriors, and whatever other help people need done. Today Judy has four grown children, 11 grandchildren, and 15 great grandchildren (with 14 living). Judy said she says 15 because the great granddaughter she lost still counts. Little Skylar Capps lived only 22 hours and Judy regrets not having ever seen her and never holding her. She said the staff at Vanderbilt made a mold of the infant’s hand and foot and her daughter, the baby’s grandmother, has the baby’s ashes. Judy said Skylar was born prematurely and it was the saddest thing. The baby’s mother had made bad choices and there was nothing the family could do to help. Judy said Skylar was the first baby they had ever lost and she would have been 2 1/2 years old now. She commented how hard it is that people don’t ever stop to say they are sorry for the loss. 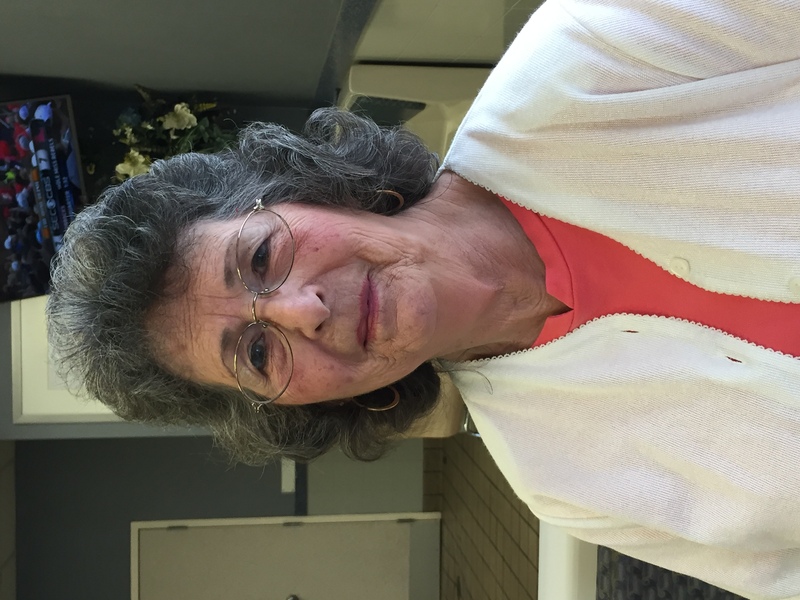 Judy vividly remembers the town of 7,000 when she first moved to La Vergne. She remembers when there was just one red light at Stones River Road and Murfreesboro Road, a Buy-Right on one side of the road and CBs on the other side. She said the old Shell station was there, but there was no Kangaroo. Judy described an old slanted barn that all the locals loved and there was an old house where Advance Auto is now located that was called the LaVergne Sports Center. This was where people bought their worms and got their fishing and hunting licenses. Judy said she likes that she had the small town experience of hearing the train whistle blow, roosters crowing, and cows mooing, but she added that it is now time for the city to grow. She was thrilled when Bi-Lo came because she was sick of going to Smyrna to grocery shop and she did another happy dance when Kroger came. Judy is a huge supporter of the La Vergne Police Department as her cousin is an officer, and serves on the SWAT team and as a field training officer. She said she was very moved that Chief Walker and many of the officers attended the funeral of her aunt when she passed away to support their colleague (her cousin) who had lost his mother. Judy also loves the school system in Rutherford County and spoke kindly of La Vergne Lake Elementary School principal Jeff Mr.McCann. “It’s a wonderful school system!” she said. 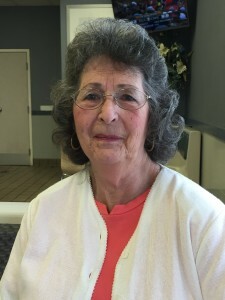 When asked how La Vergne could improve, Judy said she hopes voters do like she does and talk to everyone running for office before picking who to vote for. She said she hopes more people register to vote and then get out and vote. "We Are LaVergne: Judy Roberts Lancaster", 5 out of 5 based on 3 ratings.